Have you ever played a BC Rich Warlock guitar? 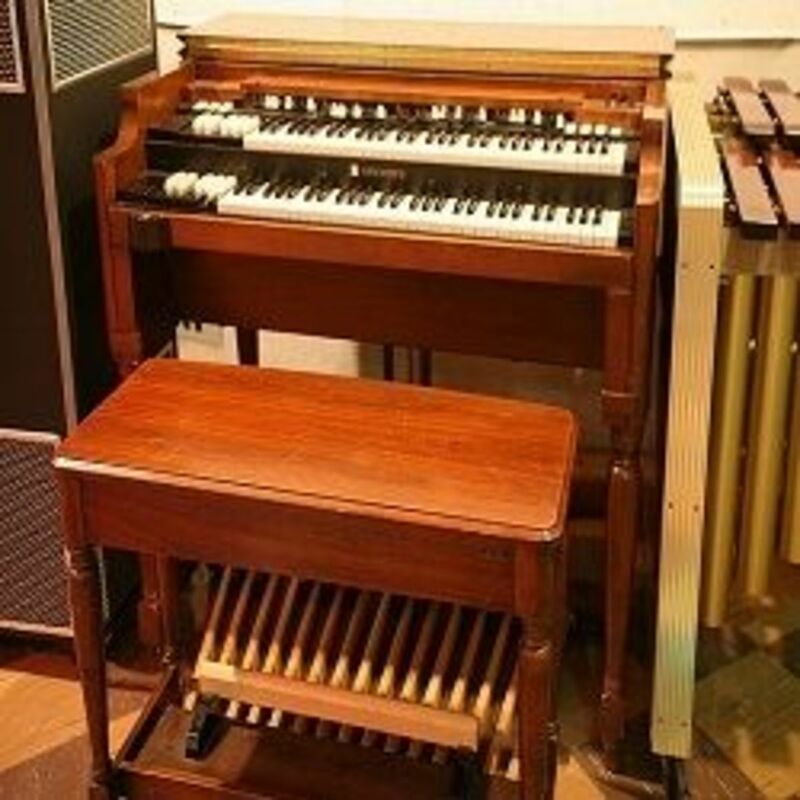 I have and it is a lovely instrument! The BC Rich Warlock is a real guitar student's dream. BC Rich guitars rock! Although the standard Squier Strat package is most often a first guitar to many thousands of beginners, the BC Rich Warlock is popular among those guys who love their metal and spiky guitars. Kerry King and Joey Jordisson are the main endorsers of BC Rich Warlock guitars, but it seems these metal guitars have a life and a huge popularity of their own. The shape is highly distinctive, BC Rich Warlocks look wicked from the Widow headstock to the sharp bouts and yet they are still comfortable to sit and hold as well as stand and rock out thanks to a bevelled edge. I do not own a Warlock (I play a Hamer Californian and a PRS) but I have enjoyed playing Warlock guitars when the chance arises! 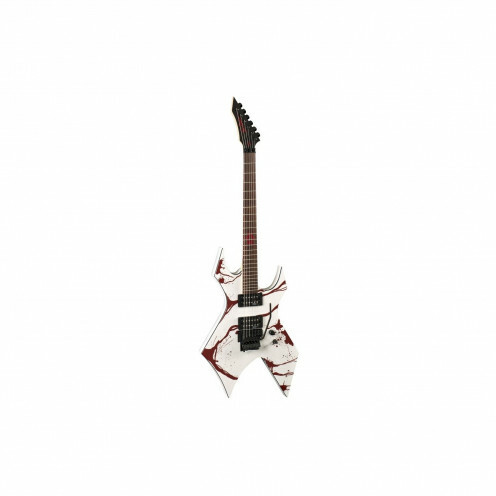 The B.C.Rich Warlock metal guitar is a classic design from the 1980s that is timeless and still very popular with young players. Bernardo Chavez Rico was an accomplished flamenco guitar player and guitar maker who moved away from building acoustic guitars into the exciting realm of innovative electric guitar design in the 1960s. Radical guitar designs like the Seagull, 1972, the Mockbingbird, 1976, the Eagle, 1976/1977 and the Bich, 1978, quickly became popular. The Warlock was developed in the early 1980s and became a favourite with hair bands and heavy metal players. As his guitars grew in popularity he went into producing inexpensive Japanese models under the label BC Rico. This was challenged by the Rico reed company so he developed the NJ (Nagoya, Japan) series, then later the Platinum and Bronze series of BC Rich guitars. The angular shape of BC Rich guitars makes them ideal for the threatening image many metal players seek on stage. I personally got quite excited by the look of the BC Rich acrylic series, but was put off by reports of them being very heavy. The more expensive BC Rich guitars have a through neck, but cheaper versions are "bolt on". 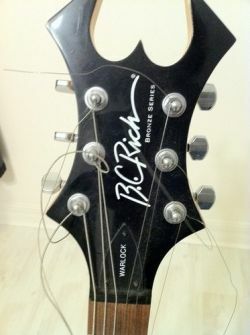 BC Rich have a unique design to prevent neck instability though. Although they closely resemble "neck through" guitars they have a bolt on neck concealed deep inside the body. This means they can have a "heel less" construction which makes it easier for players to access the higher extremes of the neck.The "Widow" headstock is a distinctive feature of many BC Rich guitars including the Wartribe guitars endorsed by Kerry King. Kerry King plays a BC Rich Warlock guitar! 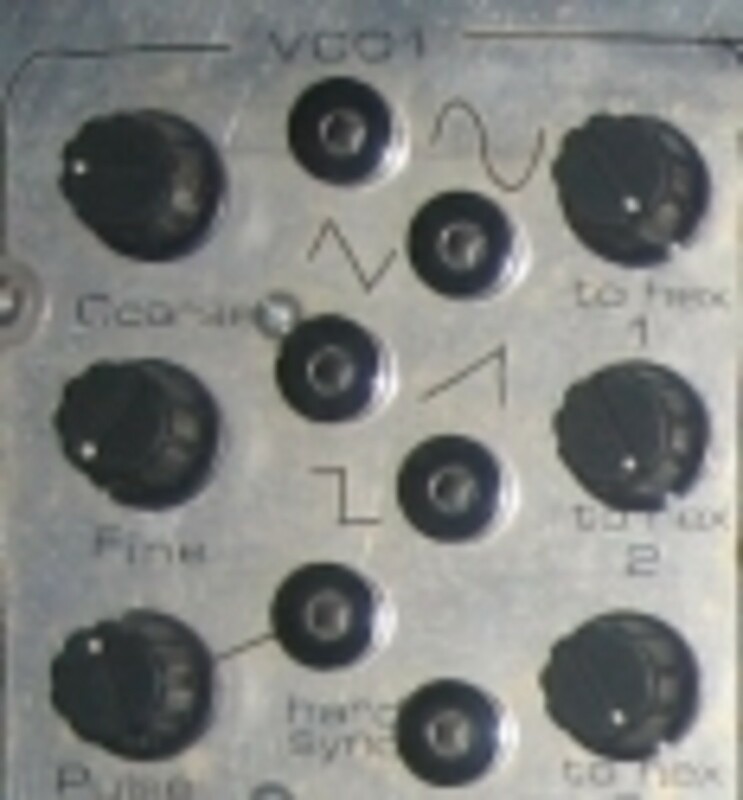 Warlock Metal Guitar Pick Up and electronics. Active electronics provide a major boost to amplification and tone controls and give metal guitar players far greater power and control over their sound. A common set up is to have one tone control, a three way toggle switch between pickups and separate volumes for each. This B.C. Rich Deluxe Guitar Case will fit ASM, Assassin, Bich, Eagle, Exclusive (EM1, EM2), Gunslinger, Mockingbird, Outlaw, Seagull, Virgin, Virgo, Warbeast, Warlock, Wave, and Zombie guitars. In a small town setting it can be difficult to track down a case for a B.C.Rich guitar, students have told me this, yet their spiky profile makes them vulnerable to knocks and a hard case is really a must. B.C.Rich produce cases that will fit all the spiky shapes and the Warlock guitar case even comes with a left-handed model too! Use the search box to explore metal guitars or anything else you like... Have fun! These books feature music from Slayer and also from the Ozzfest. New - We proudly present this songbook featuring 15 megahits in notes and tab from throughout the illustrious career of these hard rockers: Angel of Death * Black Magic * Chemical Warfare * Dead Skin Mask * Dittohead * Divine Intervention * Hell Awaits * Mandatory Suicide * Postmortem * Raining Blood * Seasons in the Abyss * Serenity in Murder * South of Heaven * Spill the Blood * War Ensemble." New - Now into its second decade, Ozzfest has brought the best hard rock and metal to amphitheaters coast to coast. Play all the music from your favorite festival bands with this collection of 15 hits, transcribed note-for-note for guitar with tab. Includes: Cemetery Gates (Pantera) * Crawling (Linkin Park) * Crazy Train (Ozzy Osbourne) * Last Resort (Papa Roach) * Left Behind (Slipknot) * My Name Is Mud (Primus) * Seasons in the Abyss (Slayer) * Sweet Dreams (Are Made of This) (Marilyn Manson)"
The construction of the Warlock neck varies from model to model, but the NT model has a maple neck with an ebony fretboard which is nice and similar to my Hamer Californian. The Warlock guitar has 24 frets which allows for a higher range than a strat or a telecaster. This higher range is much more suitable for the hard edge of metal guitar playing. It has jumbo frets which make bending notes easier but can lead to intonation problems for inexperienced players who press too hard. As the original inspiration for these guitars was the Gibson Les Paul the chances are if you like a Gibson (like me) you will enjoy playing a Warlock. The bridge is pretty unique. A chrome plated brass SonicArt bridge designed by the Traben bass company increases mass and thus sustain - in theory at least. The basic tone of the Warlock is trebly and cuts through extremely well for rhythm and barre chords at lower gain, clean sound is almost a country twang, it is similar to my Hamer bridge sound, (Seymour Duncan), but not as mellow as my PRS. Note clarity can be lost with higher levels of distortion - as might be expected of most guitars - but the middle pickup gives a wicked sound that can best be described as a weapon of mass destruction! Do you like the spiky guitar look, or would you prefer the spiky look to apply only to hair? Do you own a B C Rich guitar? Have you enjoyed playing one like me? Thank you for visiting. Is the B C Rich Warlock a King among Metal Guitars? - What do you feel about spiky guitars? I don't know anything about guitars, but nice collection and good review :) I'm sure someone who plays guitars will appreciate it.